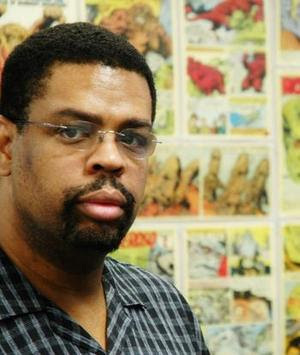 It saddens me that just a short time after my Human Torch article, I have to write yet another memorial piece: this time about real-life creator, Dwayne McDuffie. For those of you who don’t know, Mr. McDuffie was a voice against racial stereotyping in the industry. His creation of the Milestone Imprint in the 90’s was well-renowned for its racially diverse, but equally respectable cast members, including Static Shock. In later years, McDuffie worked as the head writer for Justice League Unlimited cartoon, stringing together the main Cadmus, Secret Society of Super Villains, and Darkseid Invasion plots. He also had a well-received run as the writer for the Justice League of America comic book itself. The cause of death is unknown, but he will be missed.